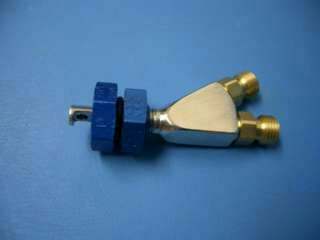 Fogger Nozzle Mount For Plastic or Rubber Mounting. This fitting with nut will allow you to securly mount a fogger nozzle in your rubber or plastic intake. NOTE: Fogger nozzle not included. Note: Color of mount varies from black to brass. Use for wet or dry nozzles!